There is more than one way to complete a college degree. Rather than going directly to college after high school, an increasing number of students delay their higher education. There are numerous reasons for this decision: some travel the world, start families early in life, or pursue a career in the military. For others, life may simply get in the way due to commitments outside of their control, such as a family illness or a major life event. Regardless of the reason, it may not be possible -- or necessary -- to complete a college degree directly after high school. Fortunately, schools make resources available for nontraditional students, who are usually defined as undergraduate students over the age of 25. Nontraditional student enrollment is more common in some schools than others, but many institutions offer specific resources, organizations, or courses tailored to the needs of nontraditional students. Nontraditional students face some unique challenges. They often juggle the demands and responsibilities of adulthood -- such as paying bills and working full time -- with the requirements and deadlines of college courses. Not all colleges provide the right environment for nontraditional learners to flourish. The list below, however, identifies institutions that go the extra mile to accommodate nontraditional students and help them succeed. Chartered in 1789, the University of North Carolina at Chapel Hill is one of the oldest public universities in the United States. In recent years, the school has also become a leading destination for non-traditional college students seeking an online education. Undergraduates may pursue a degree or professional certificate through the William and Ida Friday Center of Distance Education. These pathways may be entirely self-paced or synchronous, and are available for both full- and part-time students. Graduate and professional certificates are also offered for distance learners through various subdivisions of UNC-Chapel Hill, including the Kenan-Flagler Business School, the Gillings School of Global Public Health, and the UNC School of Nursing. Opportunities at UNC-Chapel Hill are not limited to enrolled students. Carolina Courses Online allows web-based students to take courses during the fall, spring, and summer terms; a full course list is available online. Admission to UNC-Chapel Hill will not be required for enrollment in these courses; students must be high school seniors or older. The UNC Online Exchange also enables students to participate in courses at other UNC campuses for no additional fee. With a total enrollment of more than 51,000 students during the 2016-17 academic year, Tempe's Arizona State University is considered the sixth-largest public university in the country. In addition to the brick-and-mortar campus, roughly 30,000 students are enrolled through ASU Online, the school's web-based academic wing. A Spring 2017 survey found that 55% of students taking courses through ASU Online fall between the ages of 21 and 30; an additional 41% are aged 31 or older. The most popular degree pathways for ASU Online undergraduates during that term were psychology, electrical engineering, information technology, and organizational leadership; for web-based graduate students, the most common fields of study were curriculum and instruction, social work, and emergency management and homeland security. In all, more than 140 degree programs are offered through ASU Online. All incoming students are connected with an 'enrollment coach' to help walk them through the processes for applying, seeking financial aid, and choosing an academic track. Success coaches are also available to assist students with staying on track and balancing schoolwork with other important obligations, such as employment or childcare. The University of Minnesota-Twin Cities is the flagship institution of the UMN school system, with main campuses located in the cities of Minneapolis and St. Paul. UMN Online offers an extensive selection of degrees, certificates, and continuing education programs. These pathways are offered in three different formats: entirely online, primarily online (with 80% web-based instruction), and partially online or hybrid (with 50% to 80% web-based instruction). The vast majority of UMN Online students pay in-state tuition; the exceptions are out-of-state students enrolled in at least one classroom-based course in a given semester, who will pay out-of-state tuition. The university offers a total of 17 degree and certificate programs approved by the Workplace Innovation and Opportunity Act, a federal program designed to ease tuition costs for underemployed and unemployed individuals. WIOA-recognized pathways for undergrads include bachelor's degrees in accounting, business management, health management, and three tracks dedicated to manufacturing management. Other opportunities include three bachelor's certificates, a hybrid master's degree in occupational therapy, and a professional development track in human resource test prep. Interested candidates may contact their nearest Minnesota Workforce Center for information about WIOA financial support. Founded in 1898, Boston's Northeastern University has a long history of cooperative education programs that combine classroom learning with hands-on practicum training. This tradition is a cornerstone of the Northeastern University Global Network, a web-based alliance of educators and employers in more than 150 countries across the globe. The network's degree programs are designed to meet current industrial standards, and to integrate experiential learning into the curricula. These pathways are also geared toward working and non-traditional students, allowing them to choose the course delivery, schedule, and location that best meets their needs. The network's online offerings include an accelerated Bachelor of Science in Nursing program, which follows a blended format in order to prepare students for their post-degree licensure requirements; this pathway may be completed in as little as 16 months of full-time enrollment, and is offered through Northeastern's Boston and Charlotte campuses. More than a dozen master's degree programs are also available through the Global Network, including pathways in criminal justice, digital media, project management, and teaching at the elementary and secondary levels. Located in East Lansing, Michigan State University has a current enrollment of roughly 50,000 students, making it the ninth-largest public university in the United States. In addition to the brick-and-mortar campus, MSU offers a wide selection of academic options for nontraditional college students and distance learners. A total 45 bachelor's and master's degree pathways are delivered in either a fully-online or hybrid (50% online or more) format. These include 16 tracks in education, four in nursing, and three in social work. 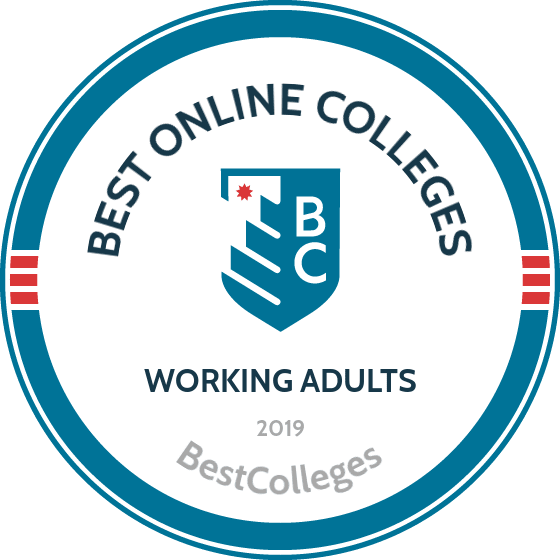 MSU Online also features a wide selection of online and hybrid certificate programs, many of which do not require enrollment at the university. As an official member of the National Council of State Authorization Reciprocity Agreements (NC-SARA), MSU is authorized to deliver distance education programs (including online and hybrid tracks) to students in 47 states and the District of Columbia; as of 2017, only Florida and Massachusetts are exempt. This reciprocity agreement ensures nationwide participation in traditional and accelerated online degree programs for working adults. Headquartered in Fargo, North Dakota State University was originally founded as an agricultural college in 1890; the school today offers more than 300 degree and certificate programs for undergraduate and graduate students. The current lineup includes 35 online pathways for distance learners. At the bachelor's level, web-based students can choose from fully-online degrees in sociology, pre-communication, or human development and family science with concentrations in adult, child and adolescent, or family studies. Blended RN to BSN and LPN to BSN tracks are also offered for aspiring nurses. NDSU also offers fully-online master's degrees in 11 fields, such as construction management, software engineering, and transportation and urban systems; blended master's degrees in education, music education, and public health are also available. NDSU delivers some of its online degree pathways as part of the Great Plains IDEA, a regional consortium that enables students to take courses from 11 leading degree-granting institutions. A flat tuition rate is assessed for Great Plains IDEA enrollees. This program enables non-traditional college students to draw on a large pool of course offerings in order to complete a degree track that is most relevant to their professional needs and goals. Home of the beloved Crimson Tide athletic program, Tuscaloosa's University of Alabama enables students to enroll in online courses and degree pathways as part of the Bama by Distance program. In addition to fully-online and blended options, Bama by Distance students may also draw from courses that utilize online video streaming and/or Intercampus Interactive Telecommunication System (IITS) videoconferencing. The tuition rates for online undergraduates ($355 per credit) and graduate students ($375 per credit) are on par with the tuition rates for brick-and-mortar in-state students, allowing non-traditional distance learners to complete their degree program without breaking the bank. Degree programs for online undergrads include eight pathways in human environmental sciences (such as food science and early childhood education), RN to BSN and RN to BSN/MSN nursing tracks, and degrees in commerce and business administration, engineering, and interdisciplinary studies. A total of 42 online master's programs are also offered, including 19 different pathways concentrated in the field of education. Penn State World Campus, the online learning arm of Penn State University, was officially launched in 1998. The campus has expanded its offerings to more than 120 online degree and certificate programs, and currently enrolls roughly 18,000 students ― making it the second-largest institution in the Pennsylvania State University school system. Online courses delivered through Penn State World Campus may vary in subject matter, but they are all linked by four common traits: a fully-online format; a curriculum that is 'academically equal' to brick-and-mortar counterparts; 'interactive and dynamic' coursework; and an experience that is conducive to adults and nontraditional students. Most online courses at the campus are asynchronous. Degree options for online students encompass both popular subjects and niche areas of study. Undergrads can choose from web-based bachelor's programs in accounting, criminal justice, finance, and nursing, as well as digital and multimedia design, energy and sustainability policy, international politics, and turfgrass science. Master's degree options for online grad students are equally eclectic, with a strong emphasis on engineering and environment-oriented studies. 'Respected, Engaging, Convenient' is the motto of UOnline, the distance learning branch of the University of Utah. One of the school's newest opportunities for online students is BlockU, a year-long intensive program framed around the common theme of global citizenship; students take part in community-building projects and learn about major contemporary issues while also completing core credit requirements. UOnline also offers traditional degree programs, most of which are self-paced to provide flexibility for parents and working students. Undergraduates can choose from online bachelor's tracks in economics, RN to BS nursing, sustainable tourism and hospitality management, psychology, and social work. Additionally, online graduate students may pursue master's degrees in electrical and computer engineering, gerontology, information systems, teaching, or business administration. Online students pay the same tuition rates as their on-campus counterparts, as well as an additional $60 fee per course; most online students pay less than $9,000 in annual tuition, though rates are program-specific. The University of Utah allows online students to transfer credits from other degree-granting institutions in Utah, as well as BYU-Idaho. Located in the heart of Tampa, the University of South Florida offers a wide selection of online learning options for non-traditional college students. Undergraduates can pursue fully- or partially-online bachelor's degrees in information studies, public health, information technology, nursing (RN to BSN), criminal justice/criminology, and women's studies. For graduate students, a total of 27 master's degrees and two doctoral programs are offered in an online or blended format; these include 11 pathways in education, seven in public health, and three in medicine. The school offers hundreds of individual online courses each semester, as well. USF's Innovation Education (InEd) program oversees the university's online degree and certificate offerings, and has joined forces with the USF Strategic Plan to positive student outcomes for distance learners. In addition to online academics, InEd offers professional development programs in fields like human resources, project management, and organizational development. Other InEd programs include certification and licensure testing, graduate-level certification, and programs aimed at adults 50 and older. Are you an older student considering a new degree, or perhaps finishing a degree that you previously started? If so, there has never been a better time to pursue your dream diploma. Technology now allows students to work on their degree in ways that were once impossible; and many programs offer asynchronous courses that let you complete coursework at your own pace and according to your own schedule. In short, completing a degree online means you do not have to forego your commitments to take your career to the next level. Depending on the institution, any of these characteristics may meet the parameters of a nontraditional student. Moreover, as the population of nontraditional students continues to rise, colleges and universities are finding new and innovative ways to reach these learners. Working adults who pursue a college degree face a variety of challenges. Earning a college degree is difficult on its own, and it is made more difficult by combining college's relentless onslaught of deadlines, projects, and tests with a demanding work schedule. Fortunately, colleges and universities are increasingly tailoring their programs to nontraditional students. For example, online programs are an excellent option for working adults; they provide the flexibility that working adults need, and allow them to complete their degree while maintaining their job schedule. Some online programs also offer accelerated degree programs where motivated learners can complete their degree much faster than a traditional degree track. How did HBX accommodate you as a non-traditional/working student? When I told a friend that I was considering applying to HBX, she tried to talk me out of it, only because I am a working mom of two young children-ages 5 & 7. She was concerned how I would fit a tripod of courses from an elite school like Harvard into my already full schedule. I'm so glad that I took a chance because HBX was one of the best educational experiences of my life! I relied heavily on the HBX calendar that provided me an overview of the weeks, and peer-to-peer learning. The calendar kept me grounded because it showed me that the coursework was manageable. The community of learners across the globe on the journey with me kept me connected and engaged in course discussion. What are the common traits you see in a non-traditional/working students? We want to learn things that are applicable to both our professional and personal lives. We are looking for non-traditional ways to advance our knowledge and understanding of the world around us. We are value-driven and that simply is a way of saying that everything has to be meaningful and relevant, and worth investing our time because we juggle many responsibilities. Can students be successful at an online program while working full-time? Without a doubt! As I completed the coursework each week at HBX it was really apparent that they had me in mind when they developed the curriculum. There was a variety of learning resources and each week I looked forward to logging in because it was a challenging, fun, and rewarding experience all bundled into one. Even with other priorities that compete for our time as full-time working students, if colleges and universities design it with us in mind we will be successful. How can universities better equip non-traditional students, like working mothers, veteran, and students exclusively enrolled in distance programs? Universities can equip us by identifying what is important to us and then developing programs that suit our professional needs. Higher education has to continue re-inventing itself and evolve with a diverse, student population like me. We want to be equipped with 21st century skills so that we are competitive applicants for jobs and promotion in a global economy. We just want it packaged in a way that takes it from theory to practice, and fits into our busy lives. What services should a non-traditional/working student look for when choosing a university or program? Support and connection in real time. Students should determine if the program has resources to help manage and organize their time, and also academic support for coursework. HBX developed a platform that helped to facilitate learning student to student. They also embedded opportunities within the course to practice the concepts learned each week. It was a different model of academic support I had not experienced before and it worked! Often times, support and connection comes in novel ways. Students should look for what is different about the program, and what kind of unique services have been engineered with them in mind so that if they need support, it is at their fingertips. What benefits are there to working while attending school? There are so many benefits to working while attending school. You get to put into practice what you learn in school and that helps to retain what you are learning in coursework. It also helps to see the immediate value that education offers to you and motivates you to continue until you finish! Nontraditional students are common at colleges throughout the country, particularly in online programs. In fact, the nonprofit, nonpartisan Education Commission of the States indicates that the ratio of non-traditional students attending higher education is expected to increase. While enrollment totals are higher for students younger than 25, the NCES projects total enrollment growth rates for older students to outpace growth rates of traditional younger students through 2024. How does your school accommodate non-traditional students? We provide the opportunity for students to request appointments via video chat or phone call, to accommodate difficulties coming to traditional office hours. We offer networking programs in evening hours to accommodate the schedules of individuals who are working. Non-traditional students can, of course, also access our online resources around the clock. We strive to support all of our students, regardless of their needs. What are the common traits you see in a non-traditional student? I don't know that non-traditional students can be stereotyped. Each individual has their own strengths and their own situation. A place like UNC-Chapel Hill is probably known more for traditional college students. But, we want all students to both feel welcome and be successful on our campus. What services should a non-traditional student look for when choosing a university? It depends on their individual needs and how much those needs require unique services, of course. My advice is for students to be truly reflective of their needs so that they know what questions to ask with regard to services. For example, if the individual knows that they are not going to be able to be on campus during traditional work hours, they should ask how they will be able to benefit from those services. From a career perspective, adding that practical experience to your story can be invaluable. Employers appreciate the work ethic and dedication it takes for someone to be successful in college while maintaining employment. Of course, a concern may develop if the person loses the ability to take on other experiences that would benefit their career plans (such as an internship in a new area into which they are trying to transition). But, we work with students to make sure they can convey all the positive aspects of their work in parallel to what they are learning in the classroom. How Long Do Online Programs Take? Earning an online degree can take anywhere from a few months -- in the case of a certificate -- to five years or more to earn a Ph.D. Associate and master's programs typically take two years, while bachelor's degrees take about four years to complete. Program length also depends on how many transfer credits your institution will accept, and whether you study on a part-time or full-time basis. Below, is additional information about adult college options such as accelerated programs, life experience and transfer credits, and scholarships available to nontraditional students. While not every online school offers an accelerated degree program, they can set working adults on a fast track to their educational goals. Accelerated options use shorter timelines for college classes and offer coursework year-round rather than on a set semester schedule. Provided you already hold an associate degree, you may be able to complete a bachelor's in as little as one year. Another popular accelerated bachelor's degree program for adults allows learners to complete a bachelor's and master's degree simultaneously. This dual-degree format can reduce the overall time commitment and financial burden to students, while giving them a competitive advantage on the job market. Generally, accelerated programs cost about the same as traditional-length programs, since tuition prices are tied to the number of course credits a student completes. Explore your prospective schools' websites for detailed information on their accelerated degree options. Institutions are increasingly recognizing the value of life experience and prior learning. By awarding credits for military service, work experience, or life experience, colleges and universities make earning a degree more accessible and affordable to nontraditional students. Professionals with years of employment at a technology company, for example, may be awarded credit for a related course in their IT degree without completing modules and assignments. Although these credit-for-experience programs provide an excellent way to lower the cost and time commitment of a degree program, the process can require an extensive amount of time and work on the student's part. Schools may request submission of a thorough work portfolio and/or completion of an exam to demonstrate one's mastery of a subject before awarding credit. Prospective college students can reduce the cost and time commitment of their degree by taking advantage of transfer credit opportunities. Individuals with an associate degree, for example, can fulfill about half of the credit requirements of a bachelor's by transferring prior credits. To transfer credits, students submit official transcripts from their previous institution to their new institution, and work closely with an admissions advisor to ensure eligibility. Transfer credit exceptions and issues may arise; however, and may be attributed to a difference in a school's accreditation, core curriculum requirements, or mismatched course equivalencies. Check with your prospective school to ensure your prior credits can transfer. Nontraditional college students can locate a variety of scholarship opportunities online through a number of foundations, organizations, or private companies. Eligibility requirements may include one's field of study, current employer, gaps in an educational timeline, organizational membership, age, or other life circumstances. Ten scholarship opportunities are listed below. Who Can Apply: Eligible applicants include members of The American Legion Auxiliary or Sons of the American Legion. They must pursue their degree in a trade, professional, or technical program, or a two- or four-year degree. Applicants must also submit FAFSA results. Who Can Apply: Eligible applicants must be at least 23 years old, active members in ANTSHE, and meet at least one criteria of a nontraditional student, such as being a single parent or veteran. Applicants must also submit letters of recommendation. Who Can Apply: This merit-based scholarship allows any high school upperclassman, current college student, or nontraditional student to apply. Applicants must attend or plan to attend a U.S. college or university and must express their higher education goals. Who Can Apply: 13 scholarships are awarded annually to nontraditional adult students currently enrolled in school or enrolling for the first time. Applicants must live within the boundaries of a participating Executive Women International Chapter. Who Can Apply: Eligible applicants include low-income women over the age of 35 who pursue technical or vocational training, an associate degree, or a bachelor's degree from a nonprofit, accredited institution. Applications require letters of recommendation. Who Can Apply: Scholarship applicants must be birth mothers who placed a child for adoption anytime after 1990, meet minimum GPA requirements, and be enrolled part time or full time. Applicants must write a 400-word essay. Who Can Apply: Eligible applicants include students with a gap in their education of five years or more and are pursuing their undergraduate degree. Applications are handled by participating institutions; contact your prospective school for more information. Who Can Apply: One application enters students into more than 50 scholarship pools. Applicants must be LGBT residents of Alaska, Idaho, Montana, Oregon, or Washington, and enrolled -- or planning to enroll -- in a degree or certificate program. Who Can Apply: Eligible students must be enrolled full-time with a 3.0 GPA, and attend a printing or graphic program at a U.S. technical school, college, or university. Applicants must submit two letters of recommendation. Who Can Apply: Applicants must be part-time or full-time Walmart associates who demonstrate financial need, and participate in Walmart's Lifelong Learning Program or pursue an accredited postsecondary education. Graduates of online degree programs receive the same diploma as their on-campus counterparts. Most employers accept an accredited online degree without issue. How much money will I make with an online degree? Although college graduates generally earn higher incomes than high school graduates, an individual's potential salary depends upon their field of study, their location, and their career choice. Are online degrees easier than traditional programs? Online courses for adults require the same level of commitment as traditional classroom courses. However, eLearning can be even more difficult, as many individuals juggle work and additional obligations simultaneously. Tuition for online degrees typically costs about the same as a traditional program. Students can significantly save money on college costs; however, by avoiding campus fees, room and board, and meal plans. Are online degrees quicker than traditional programs? Accelerated programs allow students to complete their degrees quicker than traditional programs. Students pursuing a bachelor's degree while working full-time may prefer to enroll on a part-time basis, which increases degree completion time.